Spring is a transition season. Birds are starting to chirp, the grass is starting to green up, and the trees are beginning to bud. 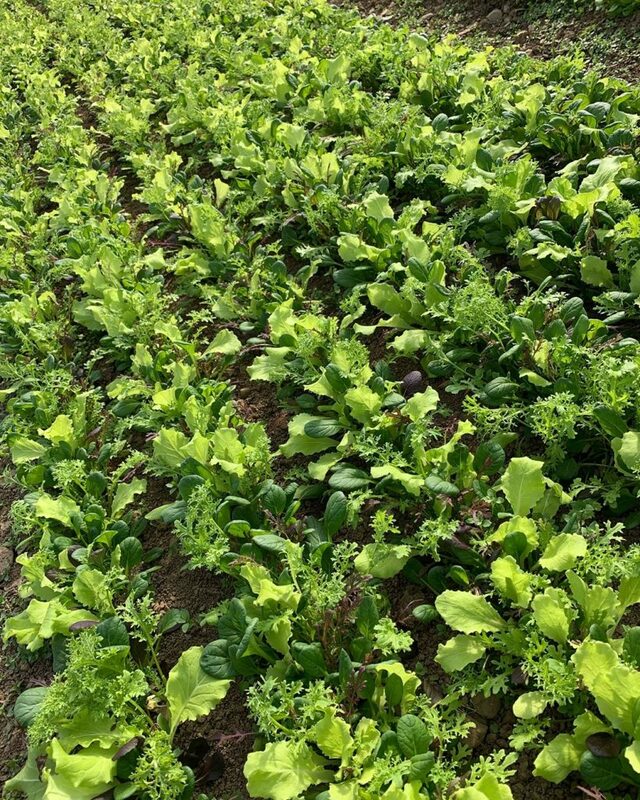 The days are just long enough and the temperatures just warm enough for certain crops to begin to flourish, for instance all of the greens filling our Farmer’s Choice bags this week. In the Northeast, our Springtime food production falls into two main chapters. The first chapter began back in September. This is when we prepared our greenhouses, low tunnels, and other semi-protected structures for winter growing. We prepared the beds, planted the seeds, and carefully tended the seedlings as they emerged from the soil. In October and November, these seedlings became firmly established. When December came, and the day length shortened and the temperatures dropped, these established plants became dormant. They did not grow any further, and our job was to keep them from being damaged by frost. In December, January, and February, we harvested these crops as they stood, and enjoyed them with you throughout the winter months. But they did not regrow at that time. 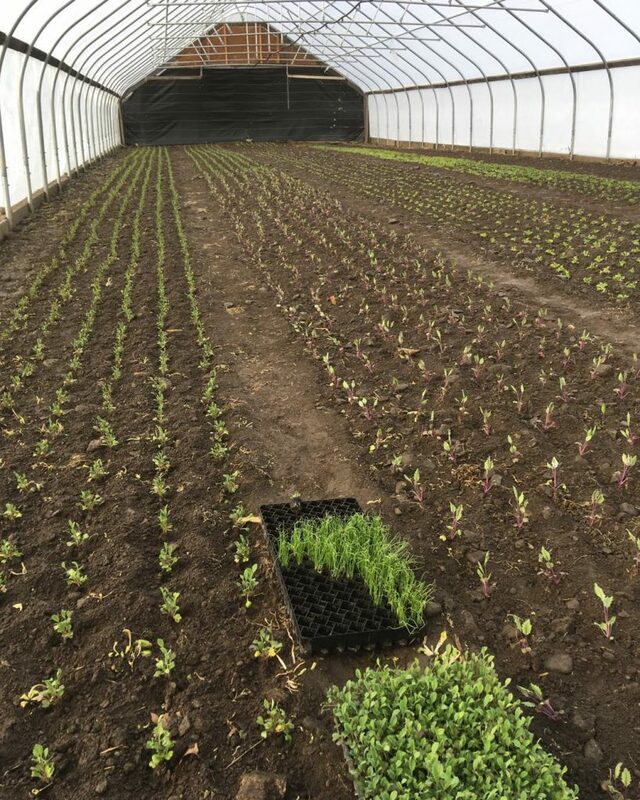 New plants emerging in the greenhouse at Ironwood Farm. With the added sunlight and warmth over the past few weeks, these plants have awoken from their winter dormancy. The leaves have grown and we have been able to harvest from them again. This harvest marks the first flush of Spring, and it is what we are enjoying at the present moment. A recent flush of early spring greens at Letterbox Farm. A greenhouse at Little Seed Gardens, planted for May harvest & beyond. 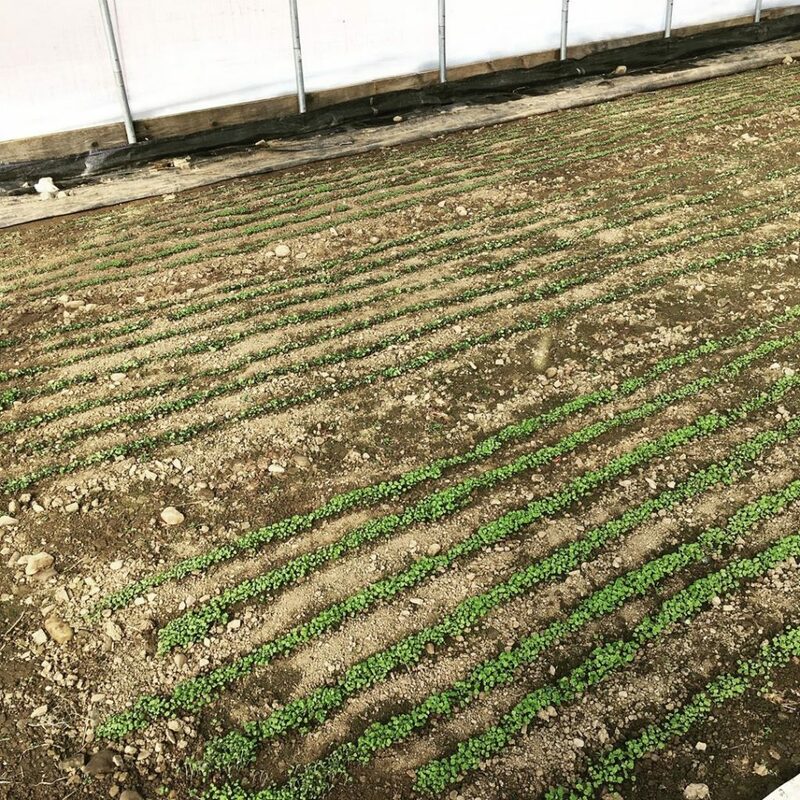 Also at this time, elsewhere on our farms, the soil temperatures are beginning to warm, and we are able to plant the first successions of this year’s new crops, such as spinach, salad radishes, Hakurei turnips, kales, and other “cold hardy”, fast growing foods. These crops will take root and be ready for harvest in mid to late May. These crops represent the second major flush of Spring. Between this early Spring flush of greens and our mid to late May harvests, there will be a slight lull. During this time, we encourage you to explore other items that you may not have tried – perhaps a new cut of meat, the probiotic-rich sauerkrauts, fresh breads, and more. And don’t forget that, by the second week of June, the fields will be bursting with a wide array of summer crops. In the meantime, we hope you enjoy the bounty of greens as they are available and savor the new crops as they make their first appearances of the year. As you plan your meals, we encourage you to be creative with hearty salads – experimenting with new dressings, nuts, dried fruit, grains, roasted vegetables, cheeses, hard boiled eggs, meats and other proteins, and more. Thank you for your support of our farms throughout the seasons, and we wish you many delicious and nutritious meals in the weeks ahead!